of others are in the museum)of the others are in the Museum). 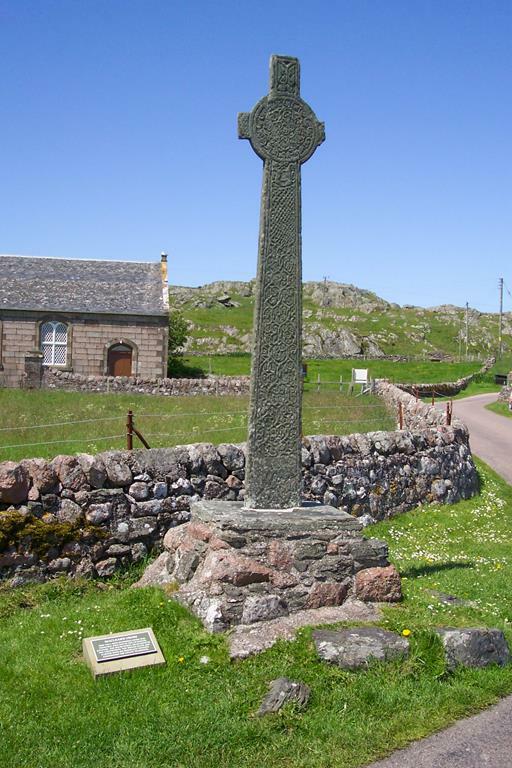 They probably served as markers to lead pilgrims along the route to St Columba's Shrine and the Abbey and served as places to stop and pray. 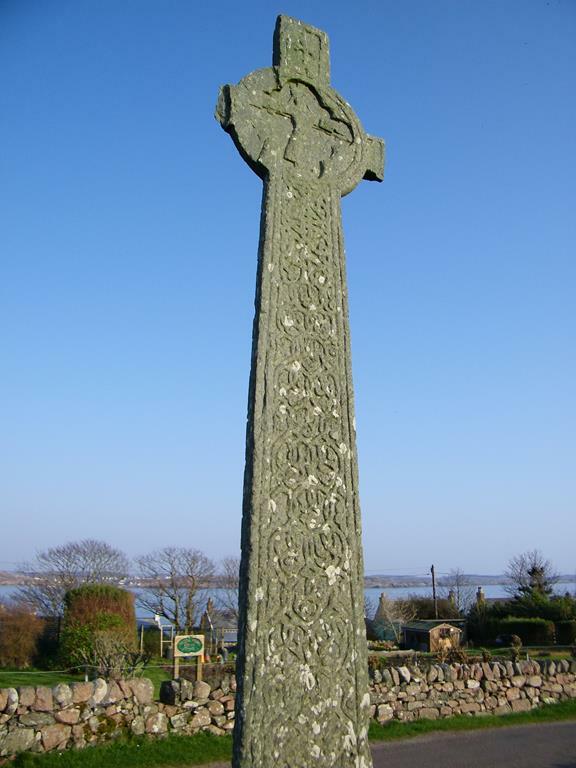 The ring cross is typical of the Celtic form, the ring providing both structural strength and symbolic significance: the circle implies eternity and equality, and suggests the presence of a halo. 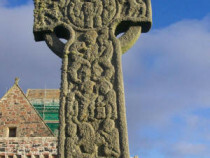 These crosses, sometimes called 'high crosses' are carved with spiral and other ornament and with biblical characters and animals, all with astonishing precision. These crosses are dated by their shape and decoration. 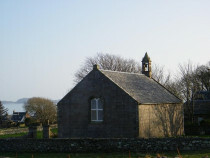 St Oran's is thought to be the earliest was once to be seen in Reilig Odhráin, closely followed by St Johns and St Martin's, all three within the middle to later decades of the 8th century. Between St Martin's Cross and the Abbey is the solid granite base of St Matthews Cross which was probably erected a century or more later than its neighbours. 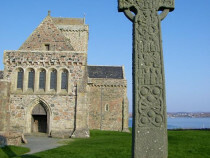 A replica St John's Cross stands closer to the Abbey. 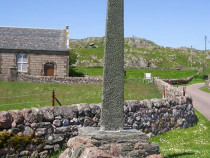 St Martin's Cross is situated west of the main entrance to Iona Abbey, and is the original cross. 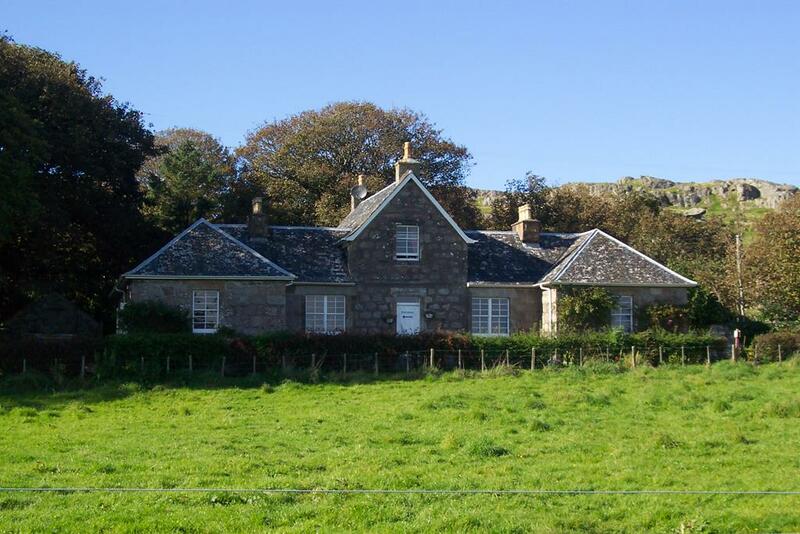 It has stood undisturbed and undamaged on its plinth of pink granite since the 8th century. 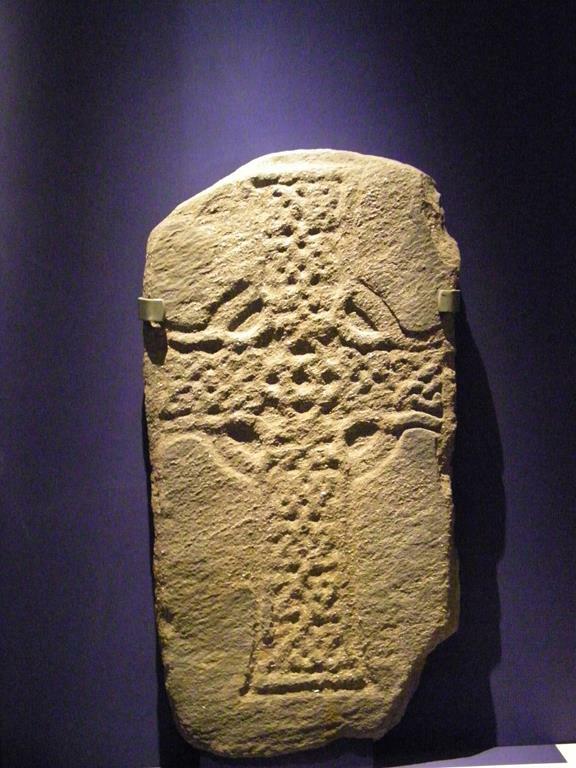 It was sculpted from a single slab of stone imported from the Argyll mainland sometime between AD 750 and 800. The side arms seem very short in proportion to the cross as a whole but the slots in the ends of the arms held wooden or metal decorative mounts. The east side of the stone is carved with bosses and serpents (left photo). 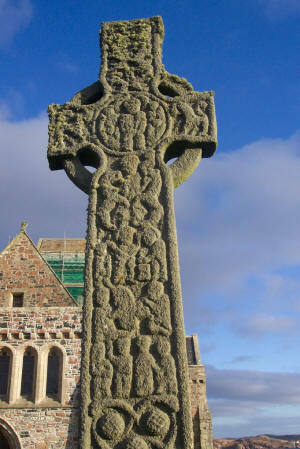 The west face of the cross is carved with scenes from the Bible (right photo). 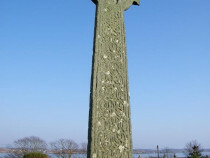 The cross depicts a number of scenes. In the centre of cross within the circle is the Virgin & Child; immediately below this is Daniel flanked by lions. Then Abraham with a raised sword to sacrifice Isaac, followed by David playing the harp beside a musician playing the triple pipes. The row of four figures towards the bottom shows David & Goliath and David with Saul; and right at the bottom are twelve serpents writhe around six bosses. 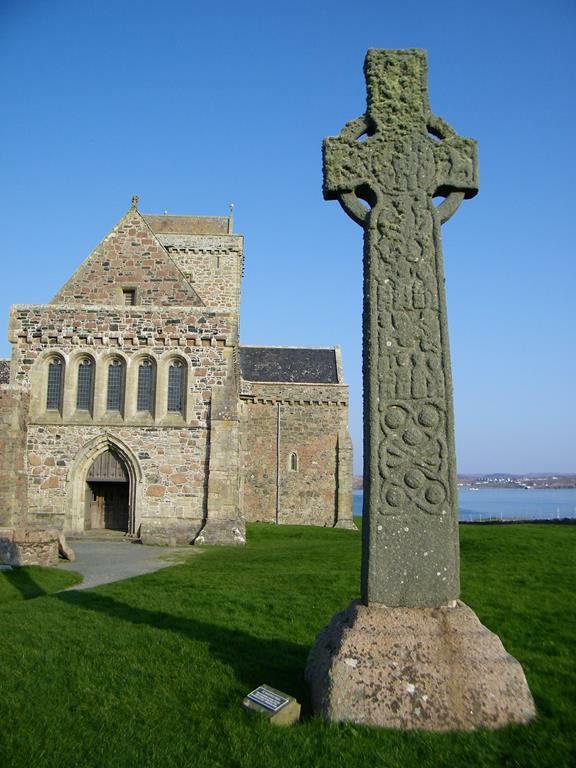 Faint traces of an inscription can also be seen - it may have recorded the name of the Abbot or wealthy patron who commissioned the cross. church. 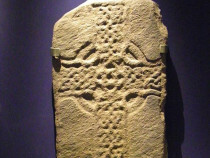 It is a fine example of the Iona school of stone carving of the late 15th century exhibiting delicate interlacing and foliage, with two animals featured just below the cross head on the east face (despite damage to the arms). On its west-facing side there is a deeply incised crucifixion scene. Carved from a single slab of stone more than 3 metres high, it stands in its original socket-slab on a modern base. The armed horseman carved at the foot of the shaft maybe the MacLean chief who commissioned the monument. Scotland to a series of designs provided by the engineer Thomas Telford. 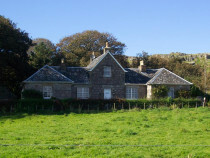 Iona benefited with a new church and manse built in 1828. The church is still in use today; the manse is now the Iona Heritage Centre and contains fascinating displays in the social history of the island. 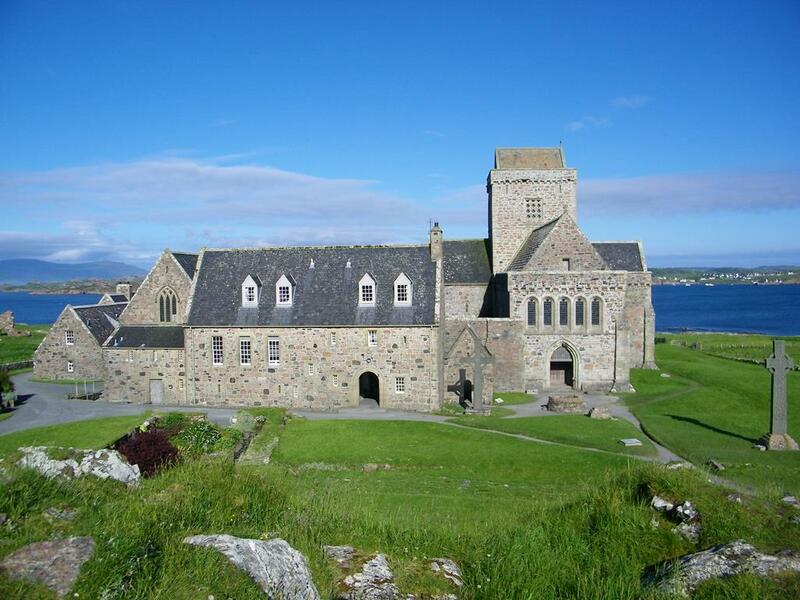 Restored in 1923 and again in 1993, St Ronan's Church (in the grounds of the Nunnery) was the parish church of Iona from around AD 1200 until the 16th century when the Reformation left Iona with no place of worship until the present church was built in 1828.